The PR visa Canada is useful for those who want to live empowered lives. This visa is highly helpful in case you want to be a part of this country. The PR visa of Canada is given to candidates to get to Canada. Express Entry is the system which is used for getting the Canada permanent residency. Express Entry has many factors which are used for deciding how much a candidate is appropriate for Canada immigration. Therefore, the candidates need to have, the, comprehensive score for getting this PR visa. This visa is given to those who have good work experience in India. That’s why, this Canada based PR system checks all the candidates for their work experience and only then grants them the visa. This year, the immigration targets have been set by the Canada government. So, this is the right time for getting PR visa of Canada. This year, the targets have been high for the Canada immigration. The Atlantic Immigration Pilot Program has set targets of 1,000 immigrants this year which is good news for applicants looking forward to going through this program. The targets for the Federal Skilled Worker program are also high. An estimated number of 74,900 workers are going to be invited through this program this year. Therefore, this is an ideal time to apply for this program and get the immigration Canada permanent resident visa. The province of Quebec has also established high immigration targets for the year 2018. It has launched its own immigration portal called the Arrima which can be used by applicants to apply for the immigration scheme of this province. The candidates can provide their own particulars through this portal. Once selected, the candidates will then get an approval for the certificate de selection of this province. So, it’s the best time to apply for a Canada permanent resident visa. You can get the immigration Canada permanent resident after knowing for which of the schemes you are eligible. It can be the Express Entry program, the Atlantic Immigration Pilot Program or the Provincial Nominee Programs(PNP). PNP’s are the highlights of the Canada immigration visa. 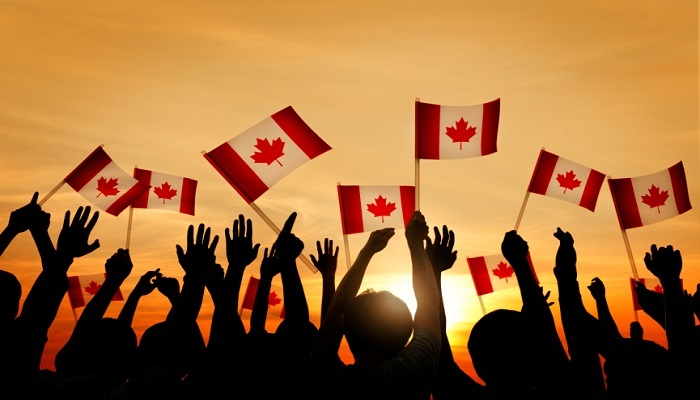 Under these programs, the permanent residency in Canada is given to those candidates, who have been asked for a job in any one of the Canadian provinces. So, every province conducts draw for all those candidates who have been given employment and have applied as per the PNP programs. Recently, the British Columbia provincial nominee program invited all those applicants who had won jobs in this province. These jobs were also restricted to specific profiles which meant that the candidates could only be selected once they had jobs pertaining to IT. There are 29 IT related profiles which have been listed for shortlisting candidates for the Canada permanent resident visa. On the draw which happened on 12th September, this year, 32 candidates were selected for grant of the PR visa Canada for this province.